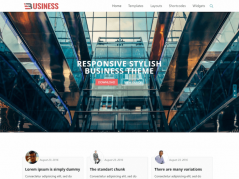 We from WPDailyThemes.com are happy to announce that today, we are giving 5 premium business themes from 7Theme.net to our readers. This giveaway is offered in a partnership with 7Theme.net, which is one of the leading premium theme providers that you can find on the internet. Each theme costs about $69.90 on average, which means that the users who participate in this giveaway will get a total of about $350 worth of premium themes for free. So, put your wallet down and hear our explanation on how you win your chance to get these premium themes free of charge. 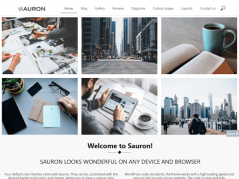 So, if you want to get these beautiful and professional business themes for free, you can participate in this giveaway offer. Remember that it is only available for a limited time, so take your chance while you can. But, before we tell you about how to participate in the giveaway, let’s take a look at the premium themes that you will get from this giveaway. Cocaine is an all-rounder business WordPress theme that gives the bold look for your website. With the featured slider that blends perfectly with your header, it gives your website the professional look that you need. The portfolio section allows you to list all the past work that you have done in the beautiful grid-style images, with bold project title on each image. Integrated with Google Maps, your website visitors can easily find your business location and go to your place immediately. 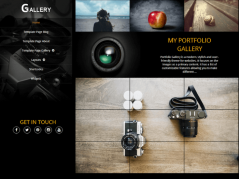 This theme is perfect for creating a portfolio business website. Want to promote your service online? Ecowash is the perfect theme for you to do that. With the bold website branding feature, you can make your brand logo stand out from the crowd. The client testimonials feature allows you to display the testimonials from your clients on your website home page, along with their photos, names, and where they come from. The elegant featured slider area allows you to feature the best images from your services, and let your potential customers know about the best features of your business. Easycab is a business WordPress theme designed specifically for taxi-related services, allowing you to promote your taxi business to your local audience easily. The unique yellow-dominated design matches perfectly with your taxi color, giving your readers the motivation to call your company right away whenever they need a ride. The bold phone number area on the header makes it easy for your potential customers to find your company phone number, so that they can request a taxi quickly. The footer area is wide enough to feature some important information about your company, such as contact information, about us section, payment information, and information about your taxi stations. Ontop is a premium business WordPress theme that is suitable to be used for consulting-type businesses. The full-width featured slider, combined with a simple website branding, makes your website look professional and elegant. You can also add the list of services that you offer on your website, with each list being placed on the clickable grid-style blue text area. You can also show the list of clients that you have worked with, providing more reputation and trust for your business. Genio is a professional business WordPress theme that features a unique header design that blends perfectly with your featured image slider. In this way, the featured image slider will be placed as the background image for your header, which gives a unique impression for your business. The parallax scrolling effect gives you an interesting animation for your web elements, making your business website more appealing to your readers. The elegant theme design allows you to create a professional presentation for your business, which is enjoyable to explore. Those are some of the themes that you will get to select if you win this giveaway. Now, let’s talk about how you can participate in this giveaway offer. It’s simple. We will use Rafflecopter to manage the giveaway entries. You simply need to tweet and share about this giveaway as much as possible. Each of your tweet or social media share will be counted as one entry for the giveaway. It means that the more you spread the word about this giveaway, the better your chance will be in grabbing these premium business themes. So, what are you waiting for? Let’s share and win!